A smartphone allows for surprisingly complex gaming input. You do not need a bunch of complicated controls to play a game, though. Sometimes all you need is a simple game with simple controls. Because of the fun and challenges offered in these simple arcade games, it can be quite hard finding the most interesting game of them all for your smartphone. No worries, we looked and we have for you an exciting, fun and challenging arcade ball game to offer. What is Weave.DPL all about? Weave.DPL is an easy to play, fun and exciting arcade ball game for Android and iOS users which will put your skills on the test, requiring you to react fast. Your goal in the maze game is to try and get the ball safely out of the maze to complete the level you play. Incredibly sharp graphics and amazing sound effects are offered for you to enjoy every time you play. To start the maze game, you need to swipe to start the ball and then to weave the ball through the while blocks, avoiding all the other colors. 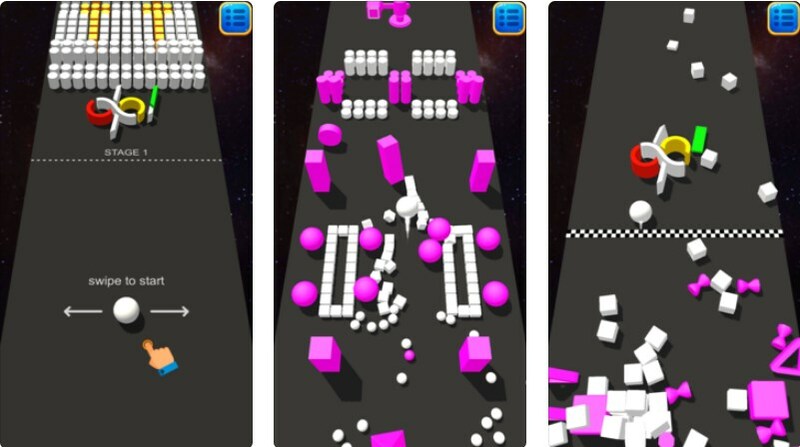 The features offered in this maze game will get players addicted to playing on their first try. All the player is required to do is to weave the ball through the white blocks while at the same time carefully avoiding the other colors. If you crush with the ball into another color then you will lose. The variety of levels offered will put the player’s skills on the test, each next level becomes more challenging than the one before it. If the player has a problem completing a level he can easily select any other level of his choice in the menu of the game. By reacting fast, the player needs to weave the ball without crushing into the blocks that are not white. To make it even more challenging, more blocks are put on the player’s way and it will be harder to complete the level. In the game, all DPL logos are safe and some of them even give players bonus action to help them complete the level faster. The ultimate goal is to get the ball out of the maze safely. Download it for free on Google Play and App Store to weave the ball through the white blocks and avoid the other colors!